It’s been easy for me to take for granted not having to count bollworms in cotton with Bt technology. 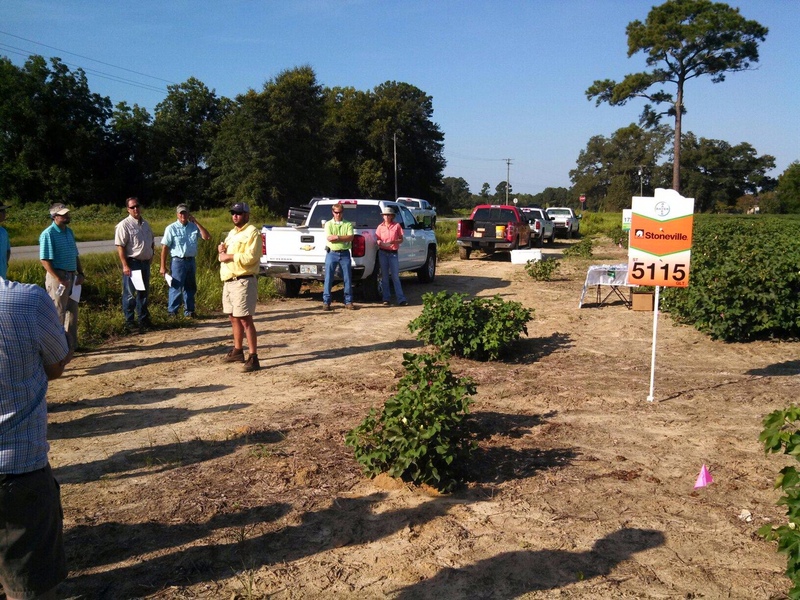 UGA Entomologist Dr. Phillip Roberts discusses Bt traits at meetings, but don’t have to get in depth because of how effective the technology is for us. 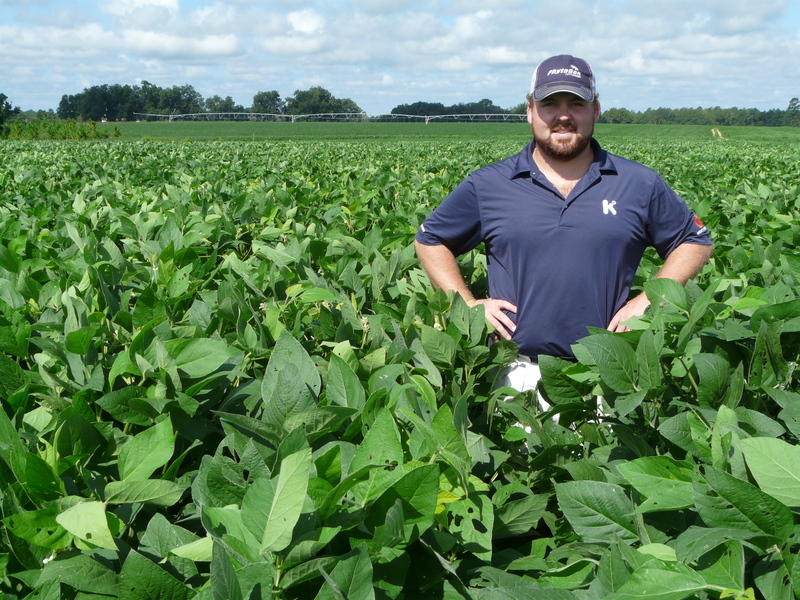 After our cotton field day yesterday, UGA Agronomist Dr. Jared Whitaker and I looked at plots for a while. It was a great learning experience for me as he was showing me to how to actually scout for bollworms and make seeing some damage. Tobacco budworm and corn earworm make up the Heliothine complex. Though they are different insects, they appear similar in the egg and larval stage. 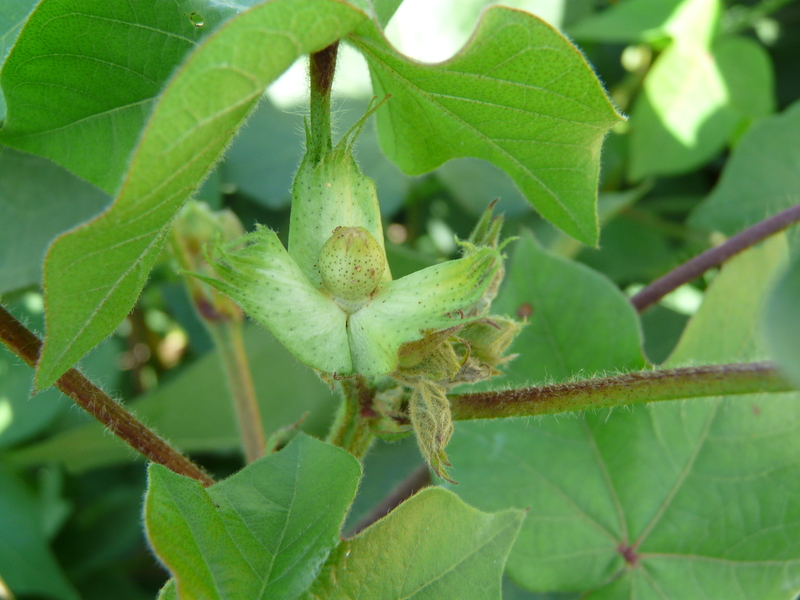 Three generations of tobacco budworm infest cotton each year and two generations of corn earworm occur each year. ID is important since TBW are resistant to pyrethroid class of insecticides. But susceptibility of CEW to pyrethroids has declined in recent years. We have Bollguard II, Widestrike, Twinlink, and Widestrike III technologies of Bt. The difference between technologies is how much they are expressed throughout the plant. Bt is not immune from economic damage from caterpillars and don’t have actually on regular bugs (Stink bugs & plant bugs). TBW are actually more susceptible to Bt than CEW (and other worms). Dr. Whitaker showed me how to look for caterpillars. Since the flower has the least expression of Bt, if the moth lays an egg in the flower, it can hatch and feed. Once it feeds outside this, Bt should kill the caterpillar. We were seeing some larger bollworms and bollworms moving from one boll to another. Since it takes the eggs three days to hatch, it’s best to look in pink flowers. Pull the petals back and look for a very tiny black-headed worm, OR you may see a black dot where the worm “hit” the edge of the boll. You can also look for a flared square. Here are some pictures of all of this we saw yesterday. 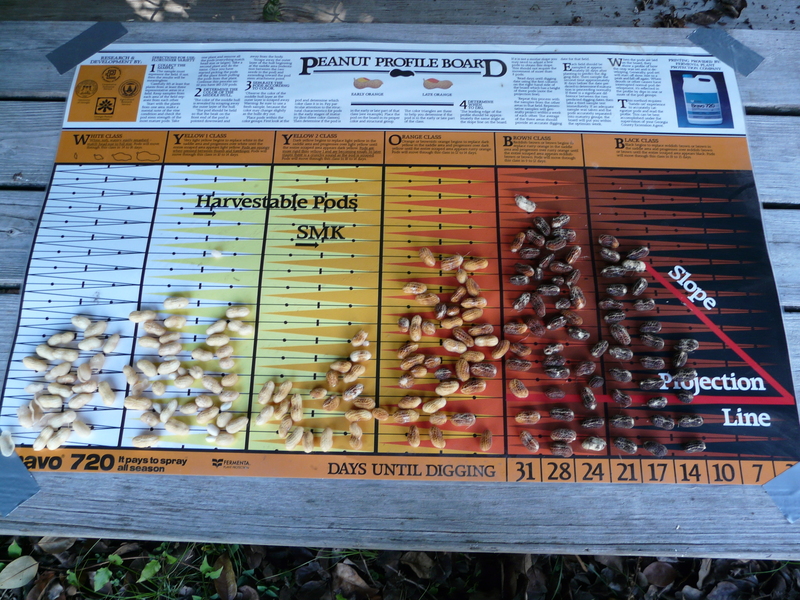 We’re getting closer to looking at peanuts to check maturity. I checked my first sample yesterday. We were really just wanting to see how far away we were to make decisions on last fungicides. Peanuts looked further along than expected. These 06G’s were planted April 27th and 28th, and show a maturity between 14 and days away. We didn’t have a perfect representative sample, so this may affect it. 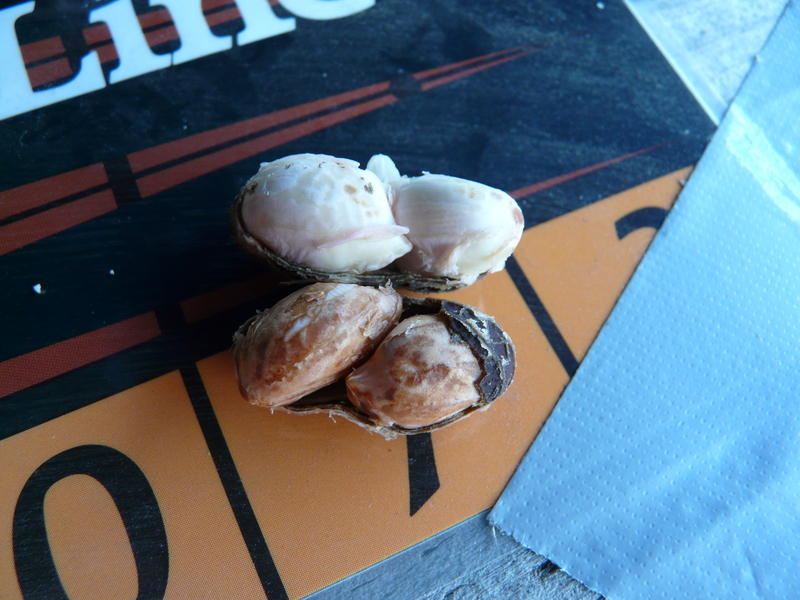 Peanuts mature based on temperature and available moisture. 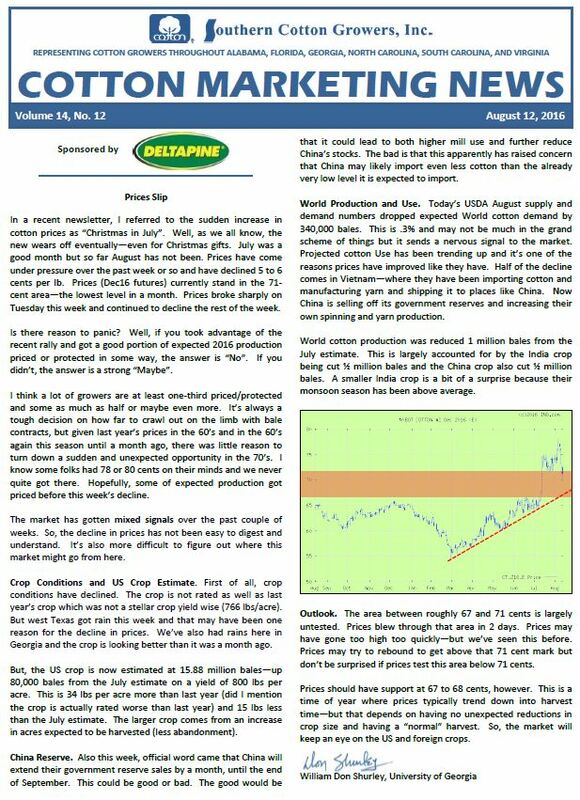 With high temperatures since June, questions have been about crops maturing early. UGA Agronomist Dr. Scott Monfort says this won’t necessarily affect everything the same. For instance, our early April planted peanuts (in cooler temperature) will stall, then later April planted peanuts will mature faster. Every field situation is going to be different, so sampling is the best way to really know. In this sample, I was finding a lot ‘turning loose’ in the hull. We need to remember to crack open the pods to observe the funiculous. This is the umbilical cord that connects the kernel to the pod. Once it turns loose, the next rain can make them sprout. Sometimes it’s hard to see the ‘umbilical cord’ before you break it yourself. Another way to make this observation is just look at the kernel. If the kernel is white with few oil spots, it’s still feeding. If the kernel is dark and shriveled, it has turned loose. I took a picture of these two. They are not always this easy to tell, but looking at them this way has helped me. I start on the right side (mature pods) and work my way back. I cracked 35 pods in this same and 6 were turned loose. 17% is pretty significant. Growers, make sure you have a good representative sample. Get plants from at least 3 spots in the field. Also, don’t just pick off the larger pods. We really need to pick off small pods as well. If we pick off large pods, it can bias the sample toward digging early. There is enough data to show that we lose as much as yield if we dig a week early than a week late. If we dig a week late, there is no difference. We don’t see difference again until we dig 2 weeks too late. We still have to consider the condition of the vines. Definitely look at the vines well as you pull off pods. Also, 180 – 200 pods is good for a sample. 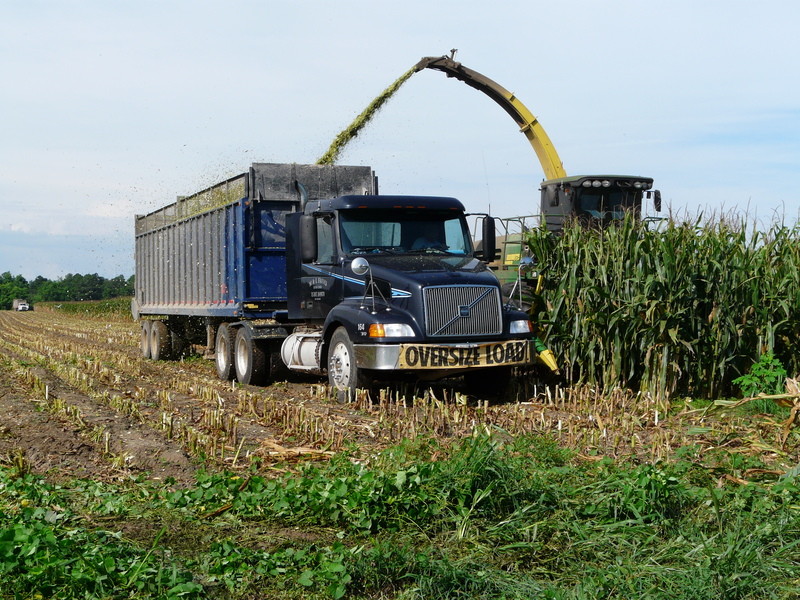 You can do everything just right during the season to maximize yield and grade potential but blow it all at harvest. It is very easy to lose several hundred pounds per acre in yield by not being careful when digging. Growers need to take their time and set the digger-shaker up properly and then run at the proper ground speed to maximize digging and inverting efficiency. In 1990, Dr. Mike Bader and I conducted a digging efficiency trial at the Sunbelt Expo Farm. We had a replicated trial in which we dug as close to perfect as possible, too fast, too slow, too shallow, and too far left or right. We took an area the width of the planted bed (6 feet) by 3 feet in length from each plot within the trial and collected pods on the soil surface and from the top three inches of the soil. We threw out the obviously diseased or non-harvestable pods, and weighed the harvestable pods that would have yielded and graded. Even where we dug as close to perfect as possible we calculated losing approximately 120 pounds per acre. We know that producers do not harvest too shallow on purpose, but if they are not paying attention the digger blades can ride up more shallow if the soil is too hard. We measured pod yield losses in the range of 1,000-1,200 pounds per acre in the too shallow, too far left or right, and the too fast treatments. Bottom line is that digging losses can take a significant chunk of yield potential. Another critical factor is to make sure they are using sharp digger blades. A set of digger blades is usually good for a limited number of acres, depending on soil type. On the heavier soils 15-20 acres may be the limit on a set of digger blades so check them often to make sure they are wearing evenly. Growers need to be very careful at digging to reduce harvest losses. We’re calling it a field day, but it won’t last longer than an hour or hour and a half. We have 11 DRYLAND varieties planted on the corner of Maddox Road and McMillian Road west of Ochlocknee. We will meet at 9:00 in the morning and industry representatives will tell us about their varieties. 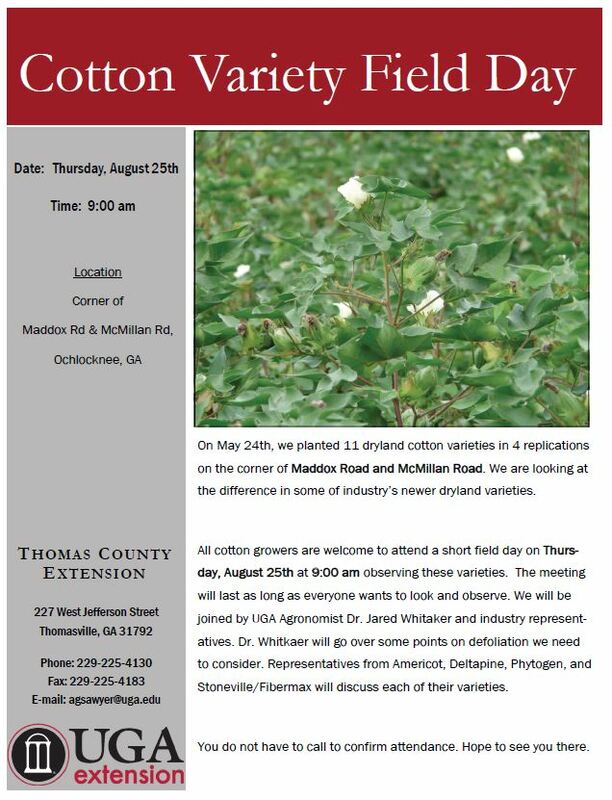 Dr. Whitaker will discuss defoliation. Everyone can take a look and ask questions and observe as much as they like. It’s always long, hot day when many of us agents come together to help plant and harvest the Brooks County Silage Variety trials. I went to help them harvest a few weeks ago. County Agents Ben Shirley and Stephanie Hollifield did a great job coordinating the harvest. 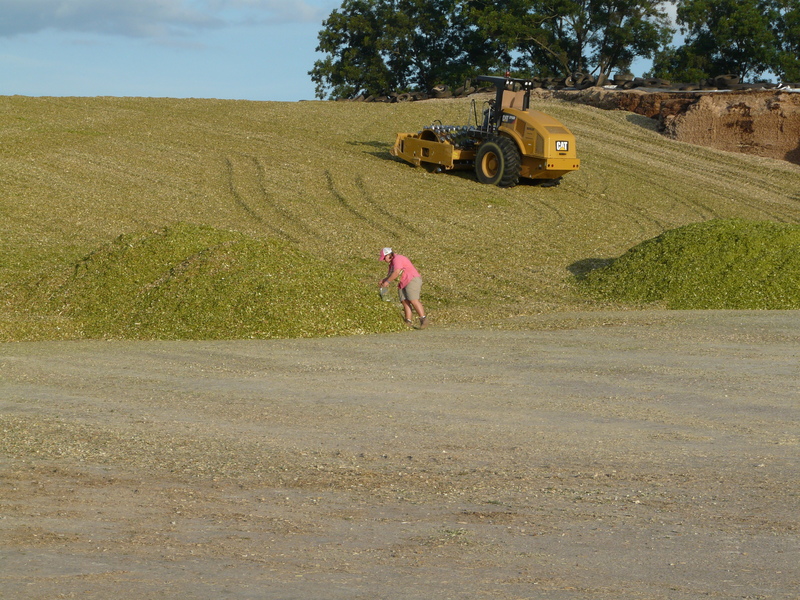 Ben and intern, Meghan were in the field cutting silage. Stephanie was in the weigh house taking tonnage. Lowndes County Agent Mihasha Dowdy and I were in ‘the pit’ collecting silage samples which are sent to receive milk producing capabilities. 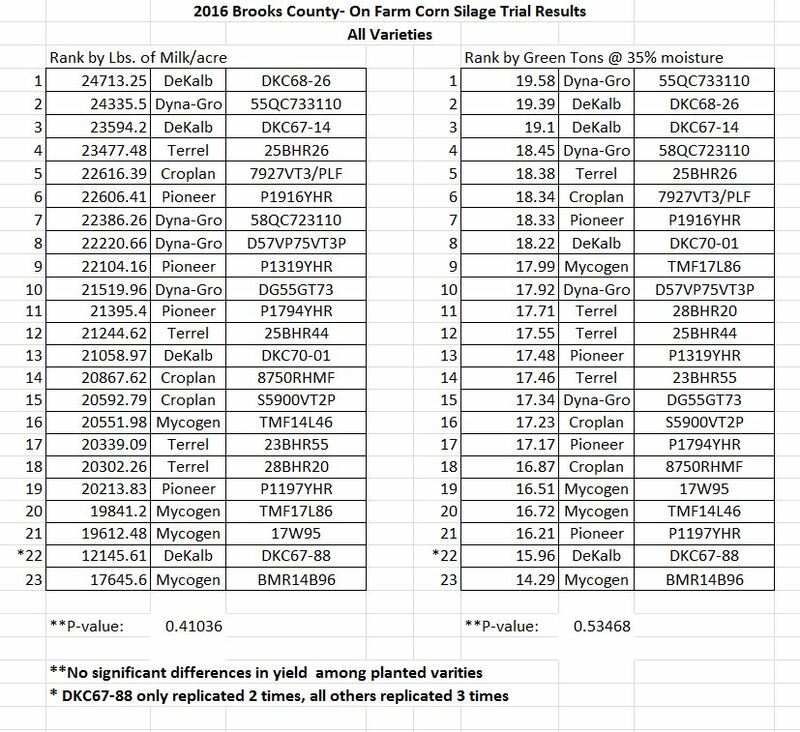 Below is the data shared by Brooks County Agent Ben Shirley on their Brooks County Ag Connection blog I wanted to pass along. 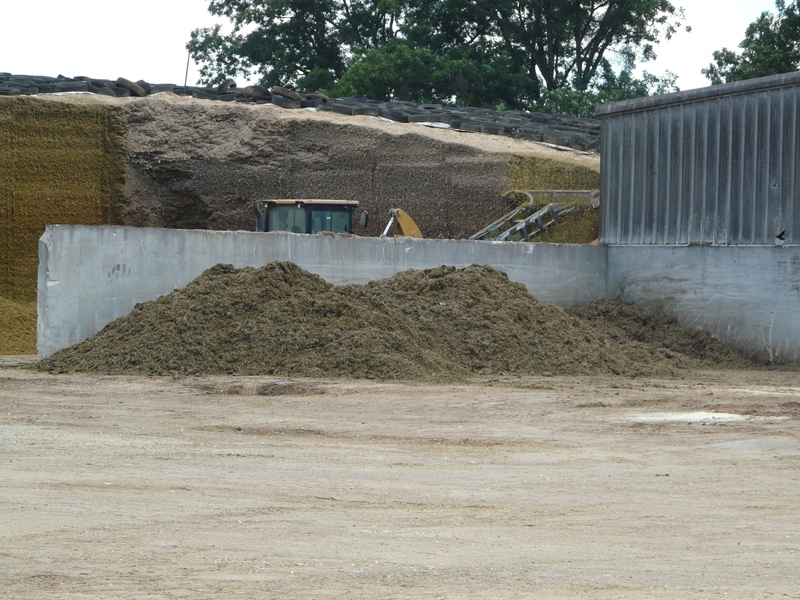 I want to share results obtained from the Brooks County 2016 Corn Silage Variety trial. We planted this trial on April 25th and harvested 14 weeks later on July 27th. This year’s trial included 69 replications, 23 varieties replicated three times each. There were no significant differences in yield among planted varieties. 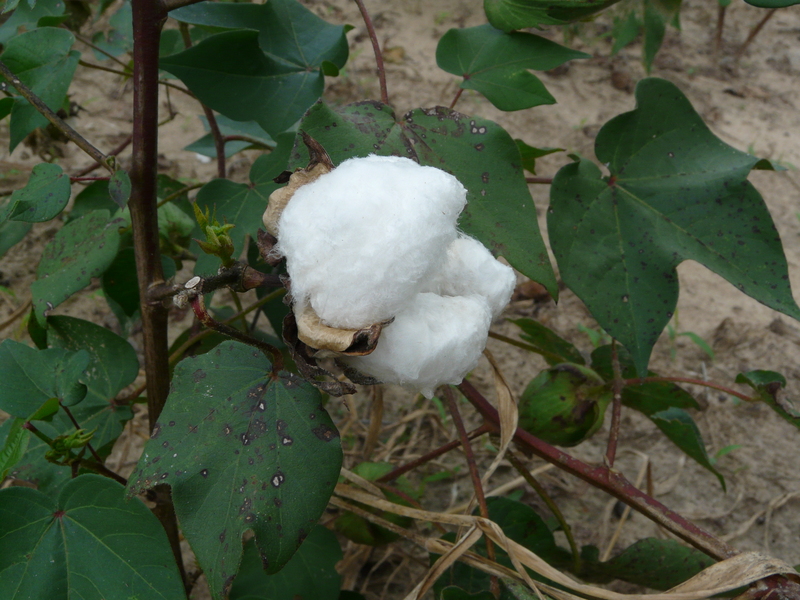 The varieties are ranked according to two different parameters, lbs. of milk/acre and green tons @35% moisture/acre. 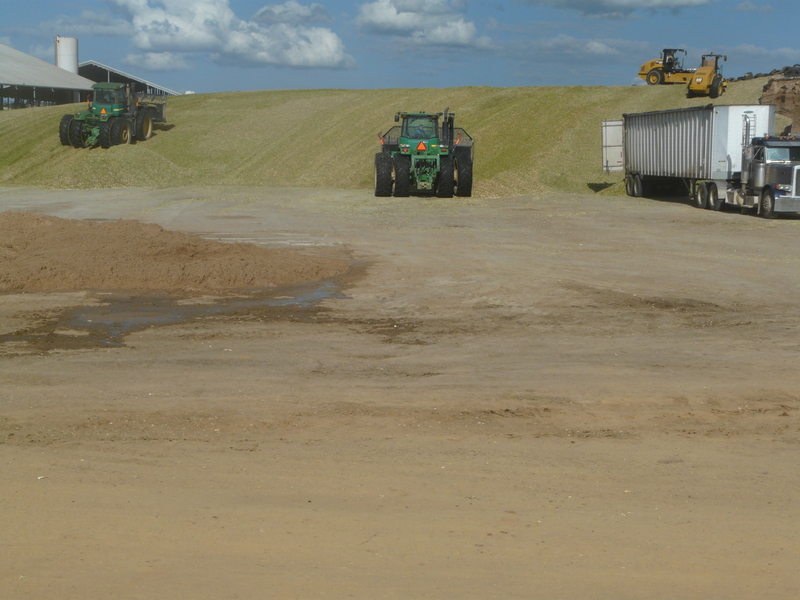 We conduct this trial annually, in order to assist our Dairymen and growers with variety selection and planting decisions pertaining to silage production. We would like to thank our cooperators, sponsors, and seed companies for their support and assistance. All data collected is available at (the Brooks County) office, please call or e-mail us if you would like additional copies or if you have any questions. Also, I have provided a link to view the data in its entirety. Note* Keep in mind no significant differences were found between the varieties; ranking of varieties is from highest to lowest only. Note* DKC67-88 only replicated 2 times, all others replicated 3 times. Our view from the pit. We are now seeing some of our earlier dryland cotton cutting out on us. You can drive by fields and see the white flower at the very top of the plant. We also have some bolls opening on the bottom. This cotton is for sure done, and if it was going to start back going, it should have done that by now. But it is good to see all the flowers too. 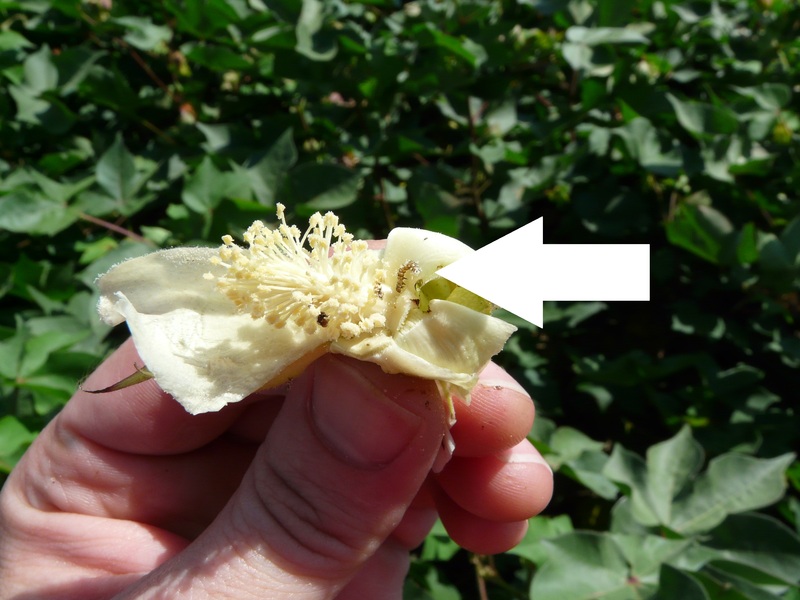 Cut-out is basically the plant is ceasing vegetative growth and will now put its energy in finishing reproductive growth – filling out bolls. There are a few things to look for with cut-out. The first is 3 to 4 nodes above white flower (NAWF). For us down here, 3 NAWF is more accurate. 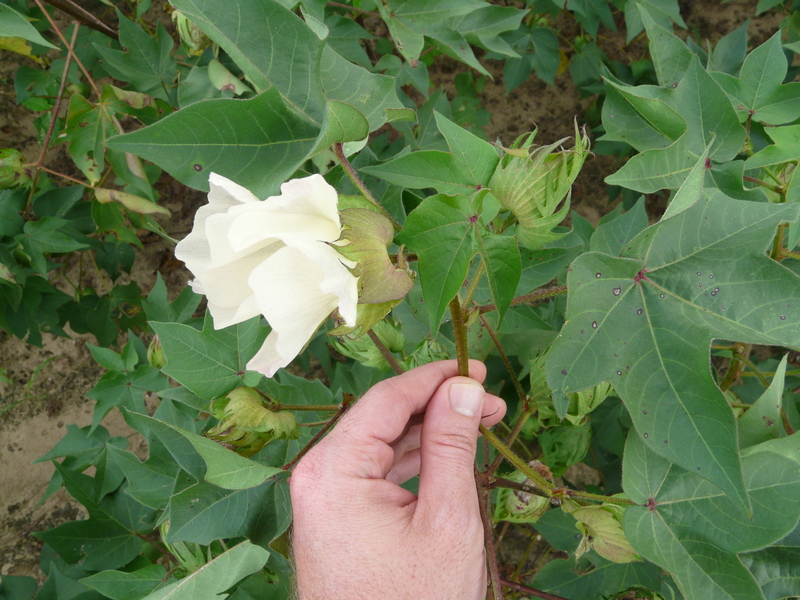 UGA Cotton Agronomist Dr. Jared Whitaker reminded me of something I didn’t know. 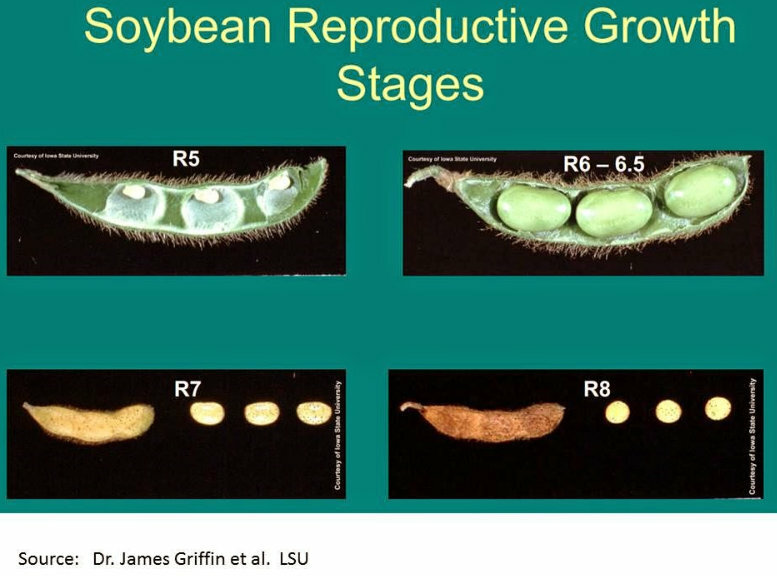 You will also see stems thinning in terminal growth when cutout occurs. And finally, lots of squares will be aborted. Dr. Whitaker says the aborted squares are the physiology of the plant telling us its cutout. Do we have time to make? 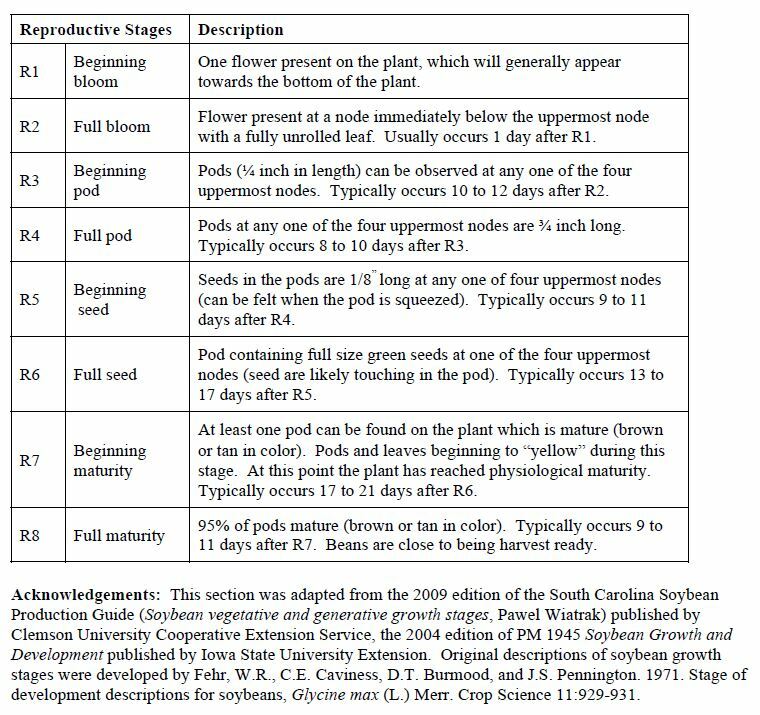 UGA has worked on trying to determine when our last harvestable boll occurs. For us, it is going to be around September 15th. If the flower sets after that date, we do not have time to harvest that boll. Keep in mind; there are 3 weeks between squaring and bloom. 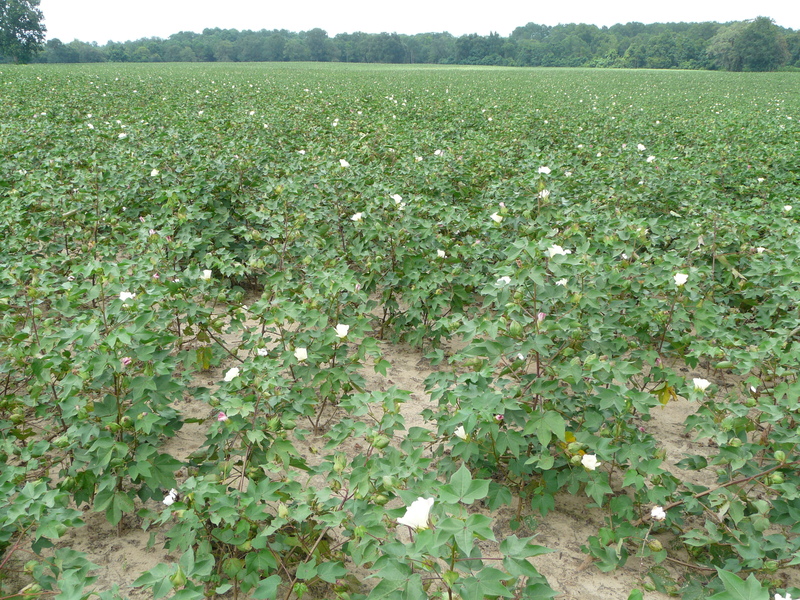 To make 1,000 lbs of cotton, Dr. Whitaker says we also need 3 weeks of bloom. That sounds like a lot but it’s possible. Three weeks of bloom is also equivalent to 7 nodes. So, unless we have already started back going, we’re past it now. 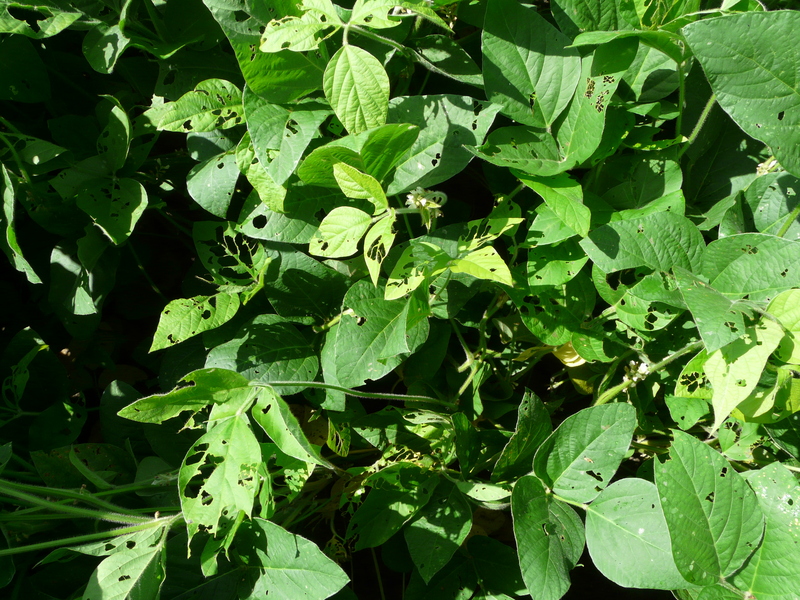 Are plant bugs affecting late square retention? We’ve been seeing squares abort now for a while as temperatures have increased. A very good question concerns effects of plant bugs. 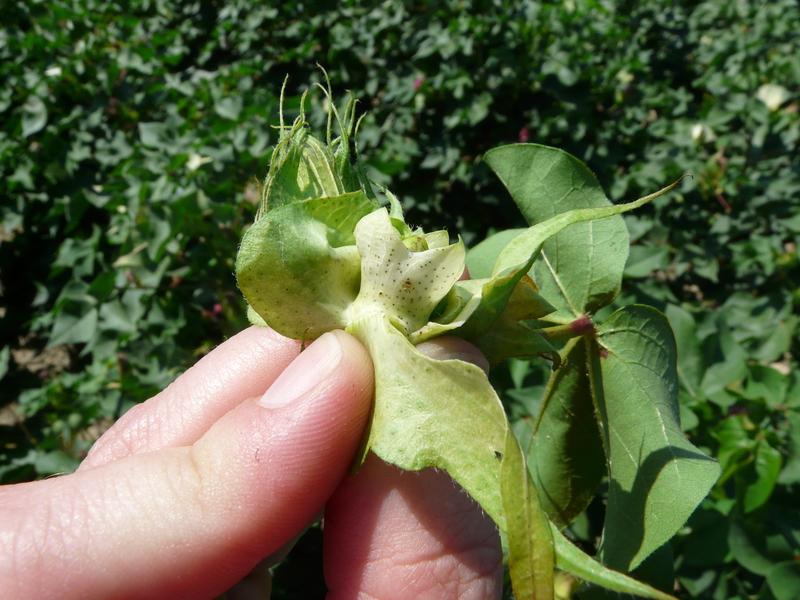 Once we get past 1st week of bloom, it’s hard to prove plant bugs are causing square abortion. 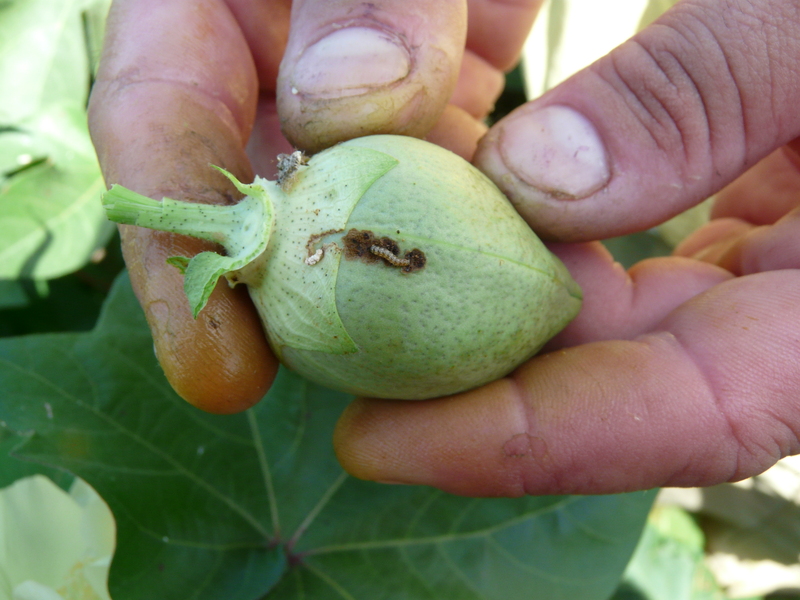 UGA Entomologist Dr. Phillip Roberts says you can find a square that has recently fallen off the plant and slice it open… If it’s mushy and rotted, it’s not plant bugs. If the square has “localized damage” (similar to lint stains from stink bugs), plant bugs are possible. But even when parts of a field are stressed, plant bugs are going to move to less stressed, green and healthy plant parts. What we are seeing now is squares aborting due to plant choosing to put resources where it needs them most. 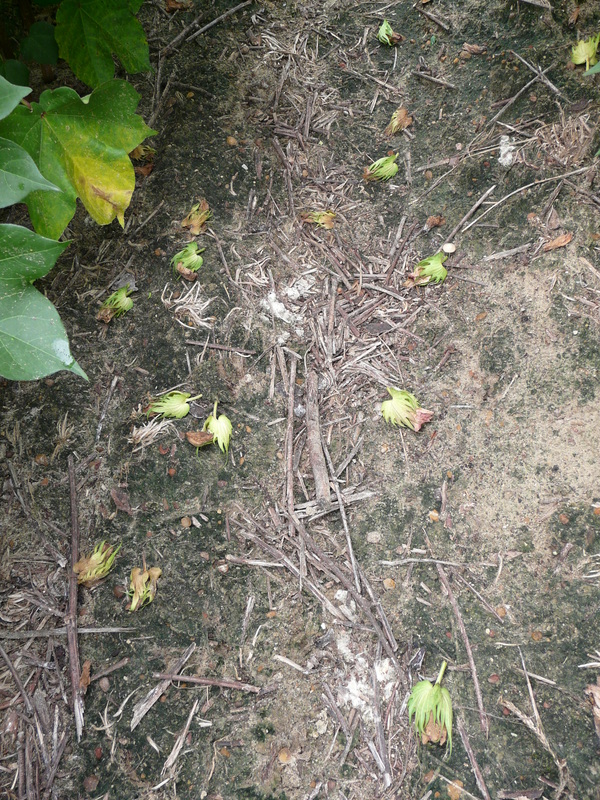 We see them abort more when we go without rain, then rain comes, the plant will then drop lots of squares.